IPV Vesta 200w Box Mod Review - Daily Vaping Deals & The Best Vape Product Reviews at Vaping Cheap! Pioneer4you are back again with the latest inclusion to their ever-growing iPV line of mods. 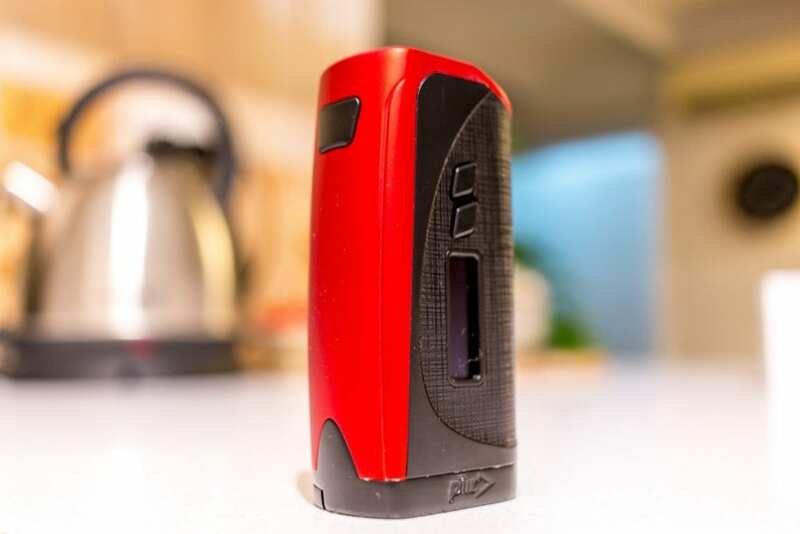 Powered by the YiHi SX410 Chip, the iPV Vesta is a box mod capable of firing up to 200 watts and is powered by two 18650 batteries. The iPV Vesta offers a variety of operating modes and comes with a stack of protection features included. 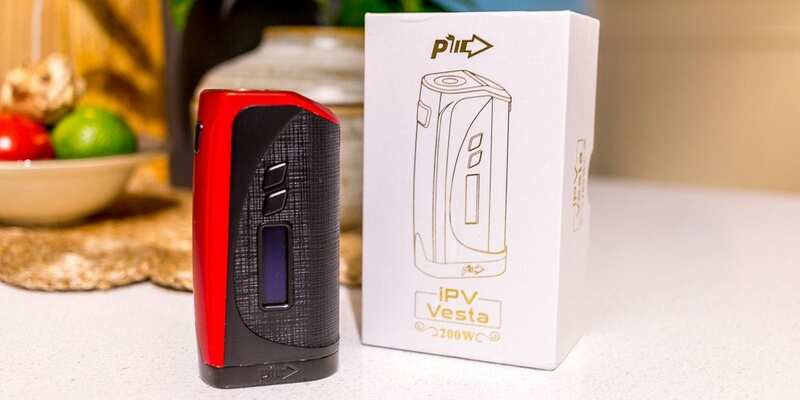 I would like to thank GearBest for sending us the iPV Vesta for the purposes of this article. Click Here to Check Out the Pioneer4You IPV Vesta! The packaging on the iPV Vesta is very true to the Pioneer4You standard. A simple white box with a hand drawn diagram of the mod in gold on the front. Ample foam padding helps to keep the mod safe from any damage that could be caused in transit. There is a USB cable, a user manual and warranty information also included in the box. The iPV Vesta was instantaneously recognized as being part of the iPV line from Pioneer4You. They just have a look about them and the design brief has held true on the Vesta, that’s for sure. The first thing that struck me was the small form factor. I just love how dual 18650 mods are getting smaller and smaller these days. I pulled out the iPV8 for comparison, thinking that the Vesta would be smaller. In fact it is marginally bigger than the iPV8, but not by much at all. First impressions are really good, certainly a quality looking and feeling mod. Every corner is rounded and the mod takes on different angles on each side. The longest side houses the fire button which feels nice and responsive, super clicky and no rattles. The fire button side has kind of an armor on it that reminds me of a Star Trek shape somewhat – you’ll see what I mean in the pictures. Both wider sides are wrapped in a criss cross grip type situation, that both looks nice and serves a purpose for the slip factor. The side with the P4U logo also houses the screen and selection buttons which are a diamond shape, small and clicky. No rattles here either. The back of the Vesta has a micro USB port which is used for charging, no firmware updates on the iPV line thus far. The bottom is a large chunky battery door that hinges when you slide it open. A very similar design to the iPV8 and others in the iPV line. A simple slide and the battery tray is exposed and the door locks into place with ease, keeping the batteries safely inside. It’s good to see they have kept the battery door system that has been such a proven success. Up top is the spring loaded 510 connection which seems very solid and is of minimal design, so not much to see up there. There is some weight in the mod without batteries in it. A good weight, where you can feel the build quality and construction coming through. It’s not heavy at all, even with the batteries installed, it just feels solid and well made. It feels comfortable in the hand due to nice ergonomics and I can tell this thing will not get fatiguing to hold onto. To install the batteries, simply slide the battery tray over and it will hinge open exposing the tray. The battery door and connection mechanism is very solid and provides a snug fit for your batteries. It is clearly labelled with + and â signs, so there is no confusion as to which way you need to orientate the batteries. This mod features reverse battery protection in the event that the batteries are inserted the wrong way. I really like the fact that the battery door is hinged which means there is no chance of it going missing if it were a separate section. Another pro is that there is absolutely no rattle or wobble form either the battery tray or the battery door. I do have to take this opportunity to remind you to refresh yourself on battery safety. To brush up on battery safety, please go and read our comprehensive article HERE. The menu and navigation system are the same as any YiHi mod, if you have used one before. Three clicks on the fire button to lock / unlock the mod. Five clicks will get you into the main menu. Once your in the main menu ,one click scrolls you through the different modes and the +/- buttons scrolls you through the sub menu categories. If you hold down the +/- button to lock the resistance, you must do this in TC mode or the mod will not perform as it should. The Vesta 200W contains the SX 410 version of the YiHi chip and it does wattage, Ti, SS, and Ni. TC. If the presets do not take your fancy, then you can enter a custom TCR and find your sweet spot. The chip also contains a slew of protections including Low Voltage Protection, Low Resistance Protection ,High Input Voltage Warning, Temp. Overheat Protection, Short Circuit Protection and Reverse Polarity Protection. I am really impressed with the performance of the iPV Vesta 200W box mod. In wattage mode the power is delivered quickly to the coil and there is no pulsing or mis-behavior present. I get a thick, enjoyable vape off this mod in wattage mode and it keep up with chain vaping. In joules mode it also performs just as well and as expected for a temp control mode. The only con I had in this mode was that the algorithm for SS316L wire seems a little off. Once I set the correct TCR it performed as it should have. I love my SS316L claptons, so it really stood out for me where it may not be such a huge concern to anyone else. I have to say the Vesta seems more responsive and a lot quicker than the iPV8, which is a good sign of improvement and development on the chip. It certainly isn’t sluggish and navigating through the menu is nice and quick, where it used to take quite some time and patience. The screen on the Vesta is bright, vivid and you can read it in all types of lighting situations. The screen displays all of the important information like joules/wattage, locked/unlocked, resistance, voltage, temperature and battery life. There are two separate meters for the batteries and they are marked as A and B. It would have been nice to display what particular TC mode you are currently in on the home screen, so you can see it while in use. The 510 connection works fine, however screwing down the atomizers can be a bit hard in the end. There is a little gap present, that you really need to screw down tightly to get rid of. There are no connection issues at all, however the 510 just seems a little shallow. The Vesta will accommodate attys up to 25mm in diameter with anything bigger overhanging the mod. The iPV Vesta does not feature a preheat as such, however there is a SXI-Q mode. Pioneer4You have not provided any operating instructions for this mode, so I am unable to comment on how this works. Battery life seems about on par with all current dual 18650 mods. There wasn’t any significant difference that I could tell and battery life is always something hard to talk about due to different ways and means of vaping. Everyone vapes differently, so everyone will have a different experience on battery life. The Vesta is certainly a compact enough mod to fit comfortably in your pocket and carry with you where ever you need it to go. It’s by no means bulky, which is a great development in dual battery box mods. It will be quite at home in your pocket or in your vape bag of choice. 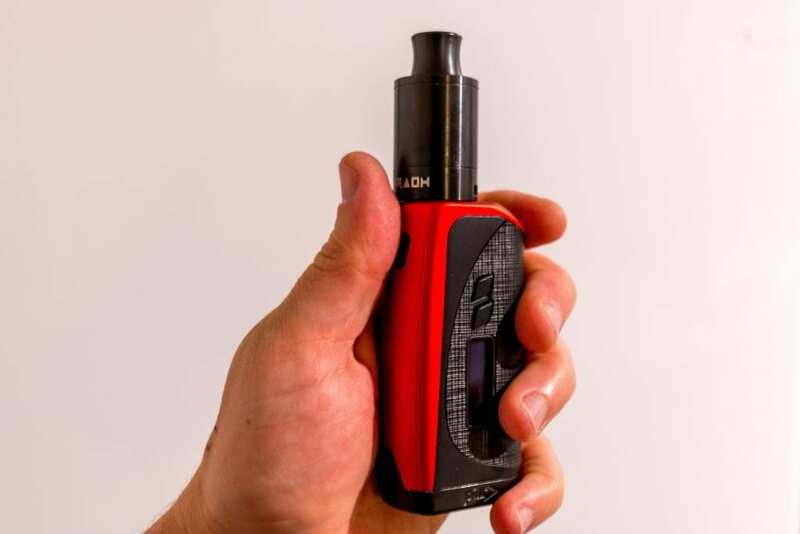 The contours of the mod and it’s ergonomic shape, really aid in the overall experience and feel of the mod in your hand. It’s a joy to hold and super comfortable. All in all I think the Pioneer4You Vesta is a really good little dual 18650 box mod. They have certainly progressed in terms of the YiHi chips’ ability and you can really tell this from using older iPV models. This mod is very flexible in terms of performance and would suit a wide variety of peoples applications. If you normally vape at fairly low wattages, but are keen to have the flexibility to ramp up to a sub ohm tank and blow some clouds from time to time, this mod would definitely suit you. If you are a season sub ohmer and like to live on the higher side of the wattage department, then the iPV Vesta will also give you what you are looking for. It is an all round, good looking and well performing mod that I think is most definitely worth the asking price. I can certainly recommend the iPV Vesta 200W box mod for your next purchase, if it is something you are interested in trying. I hope this has helped you on your quest for your next new vape box mod. Please leave any questions or comments you have down below, we always appreciate hearing what you have to say.